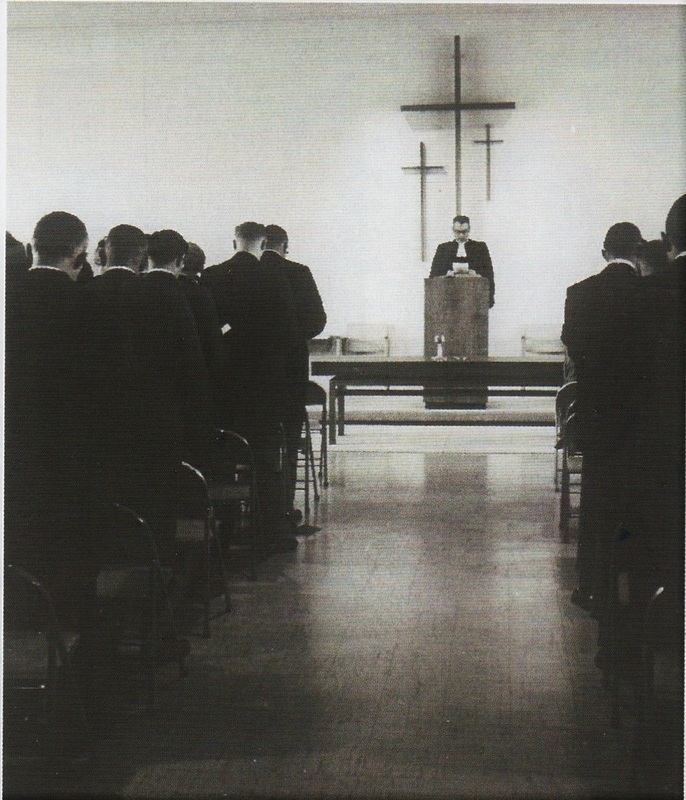 ​A large fellowship hall, the current sanctuary, and the main corridor with east classrooms were completed in October 1960. These were designed by nationally famed architect Minoru Yamasaki. To see more about his work, click HERE. Renovation of the kitchen, classrooms, and office areas was completed in 2002. ​Northminster Presbyterian Church began as a National Missions Project in 1954, in anticipation of the need for another Presbyterian Church in the north suburbs of Detroit. In October, 1954, Rev. MacKay Taylor who, at age 27, was one of the youngest protestant ministers in the area, was called by the Presbytery of Detroit to canvass the area and begin organization of a church. The son of a Presbyterian minister who served at the church of the Covenant, Detroit, a graduate of The College of Wooster in Wooster, Ohio, and of McCormick Theological Seminary in Chicago, he and his wife, Ruth, the daughter of a Presbyterian minister, moved to the manse on Windemere in Birmingham. ​Twenty-eight people met in the Windemere manse living room on Sunday morning, October 31, 1954, for the first service of worship and church school was held in the manse basement. 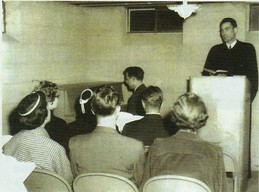 When the residence became too small for the congregation, official organization of the church took place with a service in the chapel of First Presbyterian Church, Birmingham, on June 5, 1955. Seventy-three adults were received into membership as well as sixty baptized children. From January 1955 to April 1956, the church rented several rooms of the Poppleton School in Troy for Sunday services and occasional social functions until the first unit of the current location, a small chapel and large church school room, was completed in May 1956. ​In the late 1960s, the membership grew, and a second pastor was needed: the Rev. David Colman was named assistant, later associate, pastor and added to the staff to work with the young people. When David Colman was called to Pennsylvania in 1970, the Rev. Charles Hansen became the youth pastor and, following his departure, the position was not filled, but the youth were served by various part-time directors of Christian Education and is now handled by the Christian Education committee. 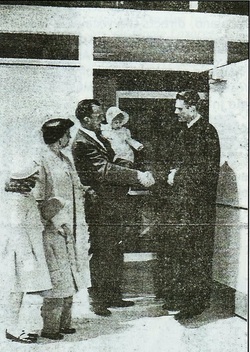 During the time that Hank and Judy were at Northminster, the membership changed and more young families became a part of the congregation. The building was renovated to provide better facilities for Sunday school classes, and a new kitchen was added. On June 30, 2002 Hank and Judy retired from Northminster, and once again the search was on for new leadership. After prayerful study, in 2004, the new Nominating Committee found a perfect fit with Northminster in the Rev. Charlotte Sommers, who spent her early years at the First Presbyterian Church of Birmingham, where her father Rev. Charles Sommers was an associate pastor. She continued Northminster’s history of social justice as one of the founding members of the Troy-area Interfaith Group. The group’s first event in 2005, the Interfaith National Day of Prayer, was hosted by Northminster. Charlotte served Northminster as pastor until 2018. ​Rev. David Colman served as Asst. Pastor from 11/21/65 to 1/18/70. Rev. Charles Hansen served as Asst. Pastor from 7/12/70 to 3/1/73. Revs. Hank and Judy Borchardt served as Co-Pastors from 11/1/94 to 6/30/02. ​Revs. 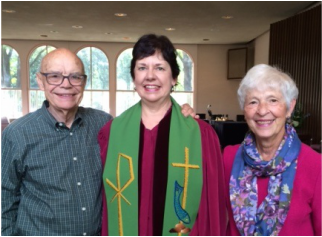 Ann and Bill Robertson served as Parish Associates from 2012 until 2016. The Northminster congregation has a history of being involved in social justice issues, from non-discrimination in housing and civil rights the 1960’s and 1970’s to LGBT rights and interfaith relations currently. ​Northminster hosted Congregation Shir Tikvah from the mid-1980’s to mid-1990’s, before their synagogue on Northfield Parkway was built. ​<--- Return to "About Us"